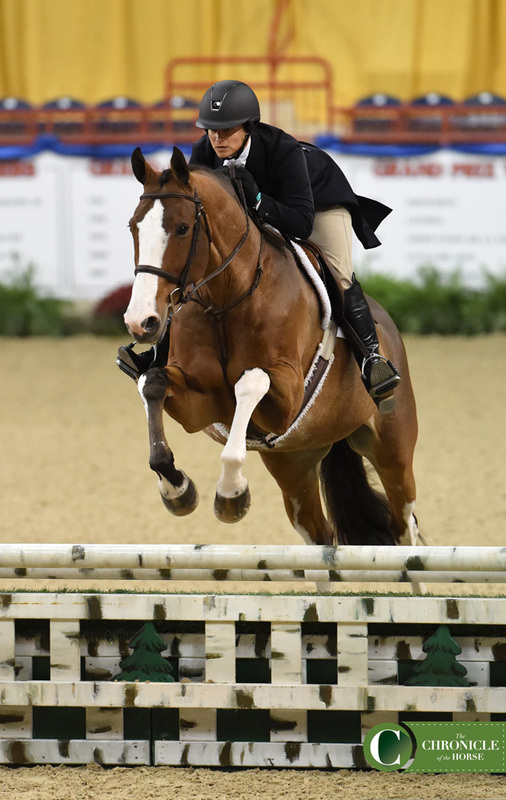 Just the day before entering the ring at the Pennsylvania National Horse Show for the North American League Adult Amateur Hunter Final, Jef Lauwers wrote out his two- and five-year plans. On that slip of paper, he documented goals of learning the ways of the smooth hunter trip and traveling up the heights and ranks, which he showed to trainer Peter Pletcher. But before he could let such visions materialize, he needed to accomplish his first stepping stone in the hunters—a NAL victory. “I’ve never done the hunters because I’m originally from Belgium,” said Lauwers. “I was there until I was 26. I moved here last November—and then I met Peter and started doing the hunters. Jef Lauwers showed he can smoothly transition into the hunter world by taking the top spot in the NAL Adult Amateur Hunter Final on Sutherland. Photo by Laura Lemon. 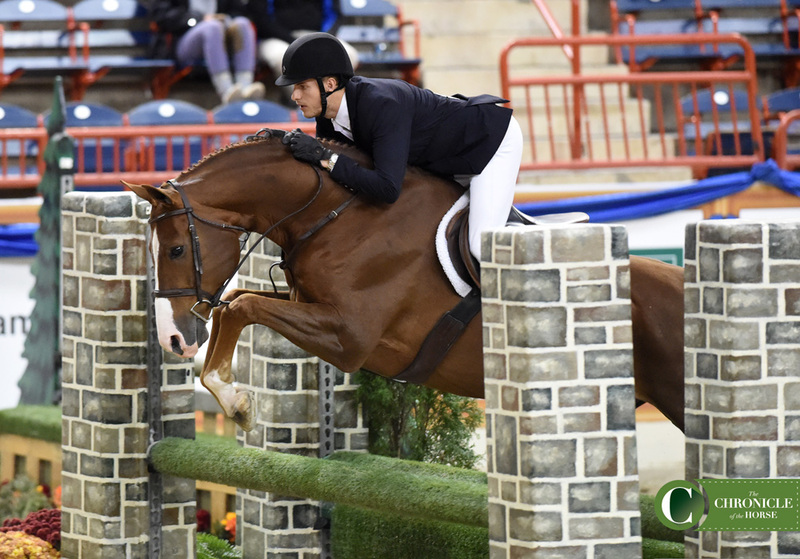 But Lauwers certainly is getting the hang of the hunter ride as he won the NAL Adult Amateur Hunter Final with Pletcher’s Sutherland—bringing him just that much closer to his two- and five-year goals of amateur-owner classes and potential professionalism. From a family of doctors and engineers, Lauwers put riding aside as he focused on school in his later teens. But after working as an engineer for approximately two years, he knew the profession didn’t tug on his heartstrings. So he packed his bags and headed to the United States. “I was like, ‘I’m over this. I’m going to do something completely different,’ ” said Lauwers who went to the Winter Equestrian Festival in Wellington, Fla. “Then I met Peter and he was like, ‘Oh I’ll help you.’ And it started to go from there. It was actually a really nice switch and really nice for me to get into this world because I love how this sport about the hunters is. It’s really all about the horse, the elegance of the horse and the riding of the horse. It’s one thing to ride a jumper course, it’s another thing to ride a hunter course really smoothly. And I think that’s also really important as a stepping stone to further my career. Neysa Bryant guided Son Of A Sailor to second place in the NAL Adult Amateur Hunter Final. Photo by Laura Lemon. Tina Allen had a successful day in the NAL Adult Amateur Hunter Final with ribbons to prove it, including a third place finish with French Kiss (pictured). Photo by Laura Lemon. 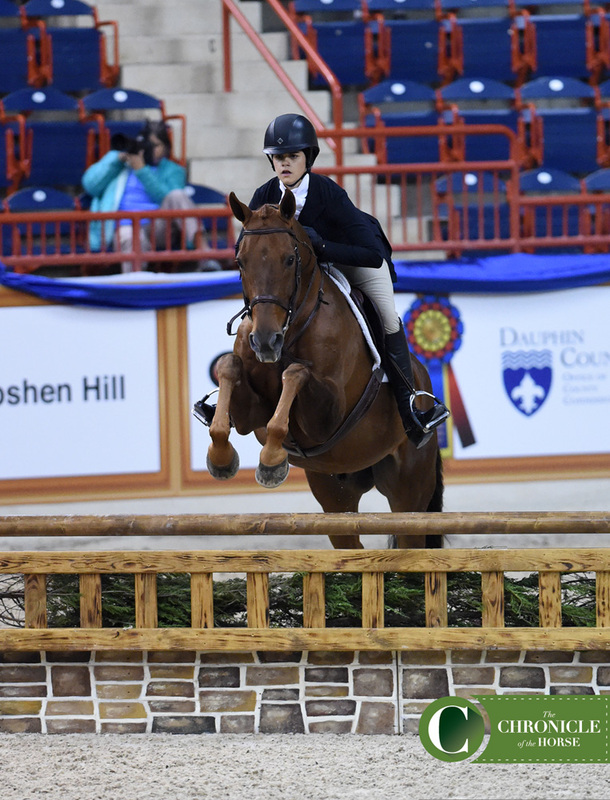 Nerves have the ability to gobble up anyone from professionals to first-year equestrians—and Jaden Porter has experienced that first hand. 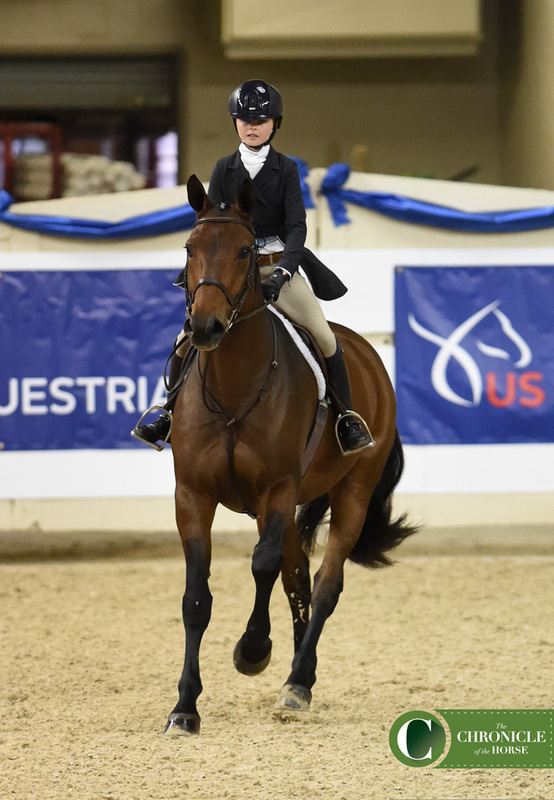 “I’m a very nervous rider when it comes to finals and things,” admitted the 14-year-old from St. Louis, Mo. But this time as she prepared for the NAL Children’s Hunter Final, she swallowed up those butterflies and kept them at bay. Jaden Porter secured the big victory she wanted in the NAL Children’s Hunter Final with Dragonfly’s Acerado. Photo by Laura Lemon. Porter and Dragonfly’s Acerado returned for the second round sitting in third. But while other pairs crackled under pressure, she and Ace (or “Poodle”) topped the second round with an 87 score to grab the NAL title. Porter just made the move up from ponies this year, with Ace showing her the ropes. Ace was initially Porter’s sister Madelyn’s junior hunter, but now he’s assumed the roll of taking the little sister around the hunter ring. 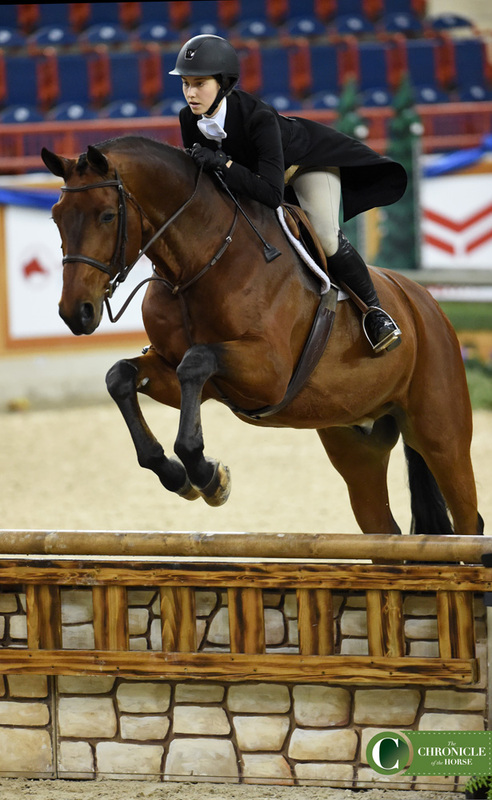 Aly Muir and Paparazzi took home the red ribbon in the NAL Children’s Hunter Final. Photo by Laura Lemon. 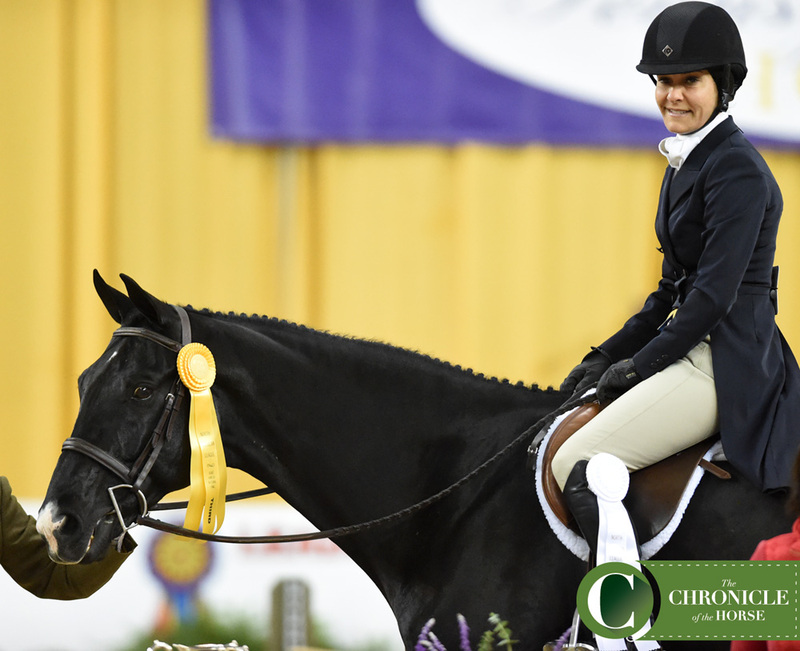 Kat Fuqua took home the yellow ribbon in the NAL Children’s Hunter Final with High Noon 3E. Photo by Laura Lemon.